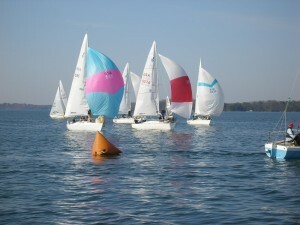 The USA District 8 J/24 Series kicked off its 2011 season at Lake Lanier Sailing Club just north of Atlanta, GA. A group of 14 boats were in attendance made up of a strong local contingency including two teams from Georgia Tech in addition to several out of town traveling boats from Burlington/Goldsboro/Wrightsville Beach-NC and Columbia/Hilton Head-SC. 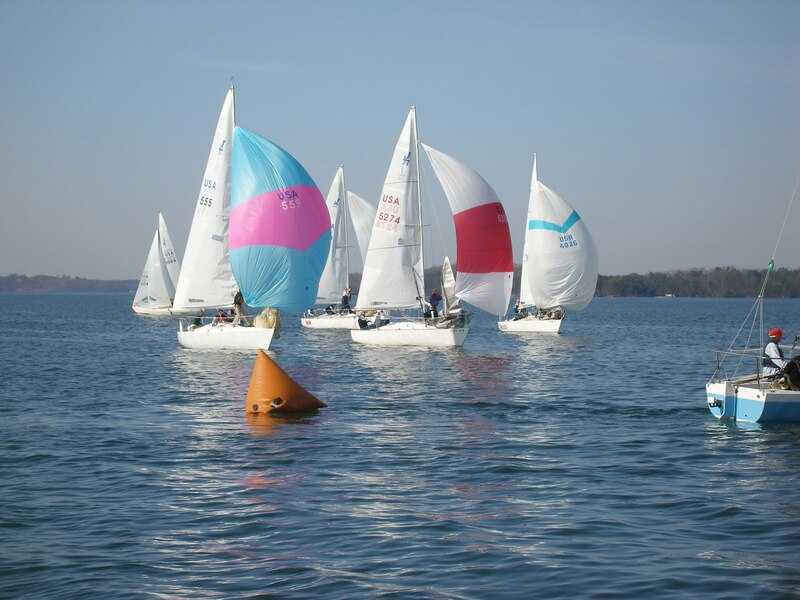 The Race Committee was able to get six great races off and it ended up with James Howard on “Classic” and Chip Till on “Murder Incorporated/Team Layline” knotted at the top…in the end the tie-breaker fell James’ way! A huge thanks goes out to Linda Baker and her shore-side team that ran an unbelievable event. We thank our PRO Stefan Schulze for running some great races and additional thanks go out to James Howard and Mike Stewart for their assistance with getting us non-ramp launchers in and out of the water safely! Congratulations to James Howard and Crew on USA 3004 – “Classic” for their victory.